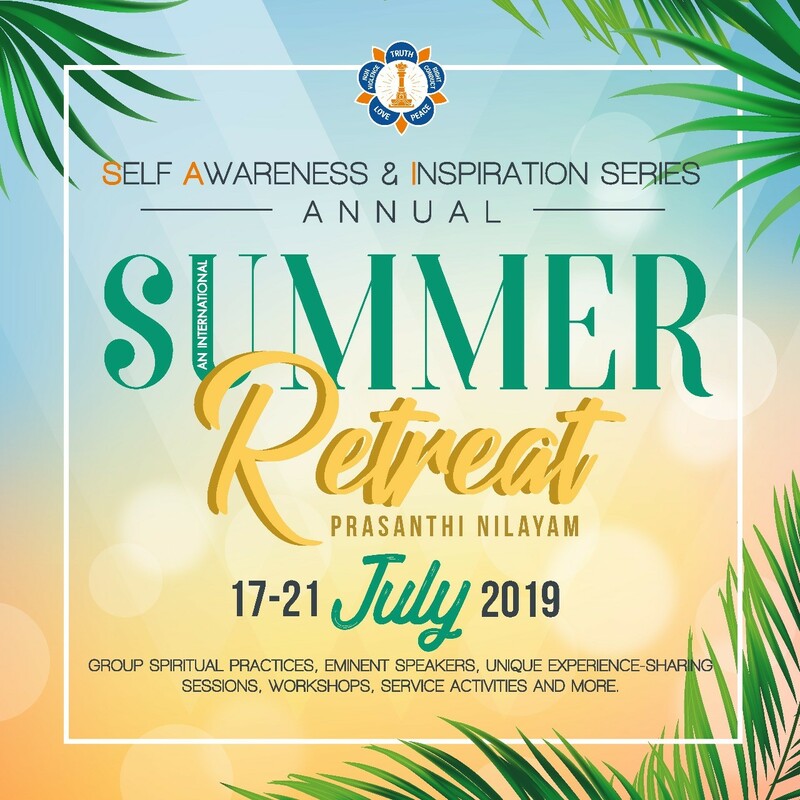 The programme, a new initiative of the SSIO, will include: Three days of group spiritual practices, eminent speakers, unique experience-sharing sessions, workshops; a day of service activities and a day of guided visits to key sites around Prasanthi Nilayam. A parallel programme for children of participants will also be provided. Once finalized, the programme schedule will be posted in the registration page. We hope that as many devotees as possible are able to participate in this blessed opportunity. We encourage all SSIO members who come on pilgrimage to take advantage of this special opportunity. For any questions, please contact events@sathyasai.org. Zone Chairs, Central Coordinators and National Council Presidents, kindly share this email with all members of Sathya Sai Centres, Groups, Trusts and Institutes in your area. Zone Young Adults Coordinators, share this email with all Sathya Sai Young Adults in your area.